If you do one and only one thing today - support the kid BIG SEAN and download his latest free mixtape, Finally Famous Vol III, here. Thank you. Looks like the NY store is opening Sept 3rd. 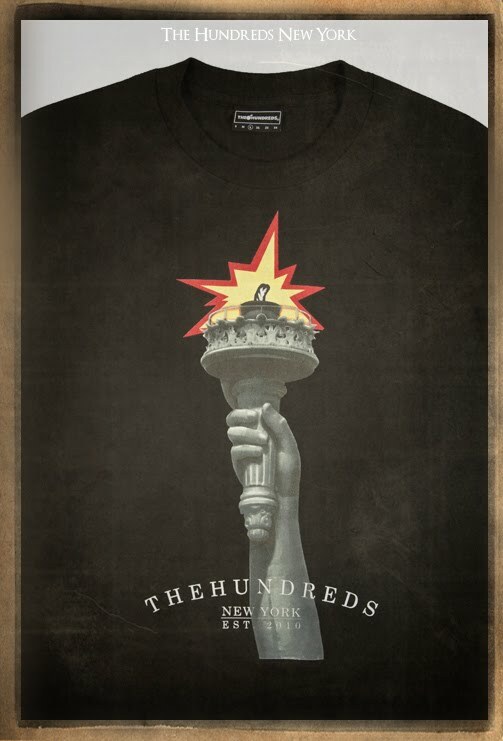 New York exclusives aside, I'm interested to see how the west coast brand will be received out in the Big Apple. More exclusives here. 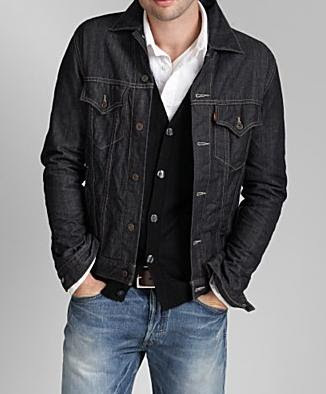 So last weekend, I came up on a pretty sick raw/selvage denim jacket from Levi's. I instantly fell in love with the various features - from the stitching and the buttons to the classic cut, I was stoked. Plus selvage? Can't go wrong, right? While further reviewing the various features of the jacket, I noticed one troubling comment : "Made in China". I know that Levi has been outsourcing for years, but for the most part, their premium goods have still been made here in the US. This is LEVI STRAUSS - the Company that's been making denim goods since the 1870's! It's 2010, outsourcing really shouldn't bother me, I just have a hard time when it comes to legends and premium, grade-A products. I think the Selvage Yard says it the best: "It may sound strange, but denim represents all that I consider to be good and of value in the world. It’s pure, honest, unpretentious, reliable, hard-working, American tradition that gets better with age. It doesn’t get any better than that in my book. The story of denim is forever entwined with the story of America. It’s part of our heritage, and a genuine American Icon." 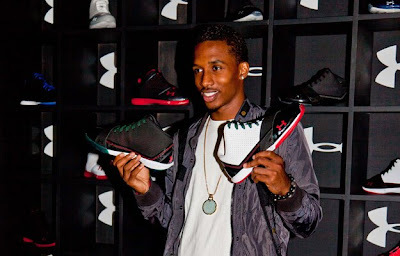 The fella's over at Complex hooked up with my favorite young pg, Brandon Jennings, to talk about his new kicks, being the face of Under Armour basketball, and more. Check it out, and while we're at it, keep an eye out of the shoes as well! These are very slick and are supposed to be performance oriented also, and that is a tough combo to pull off. The spring/summer season of WOR is currently on sale for great prices, so you know that means one thing! Making room for Fall. The WOR crew doesn't let the change in the color of the sky affect their colorways, so see a preview of the shirts above, and more over at UNIV, who have some of the line up in store already. MATIX Capital Collection from Matix on Vimeo. THIS IS HOW YOU GET MY ATTENTION! Quality goods made in the USA putting some money back in to our struggling economy. Check it out. 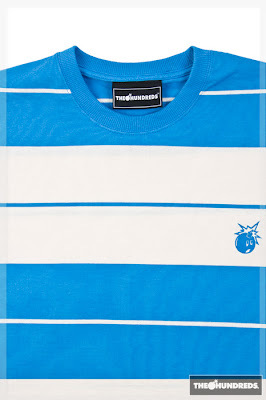 Supreme Fall/Winter 2010 preview is up at <="" a="" href="http://www.supremenewyork.com/">their homepage. Another STRONG collection. 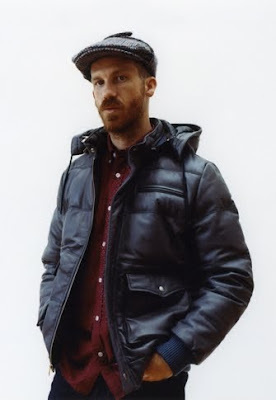 Supreme has always been a couple steps ahead of their streetwear counterparts, and their focus on turning out more mature offerings the last few seasons have been no different. Look for these at your local (if you live in LA, NY, or Japan) Supreme flagships, as well as online, soon. 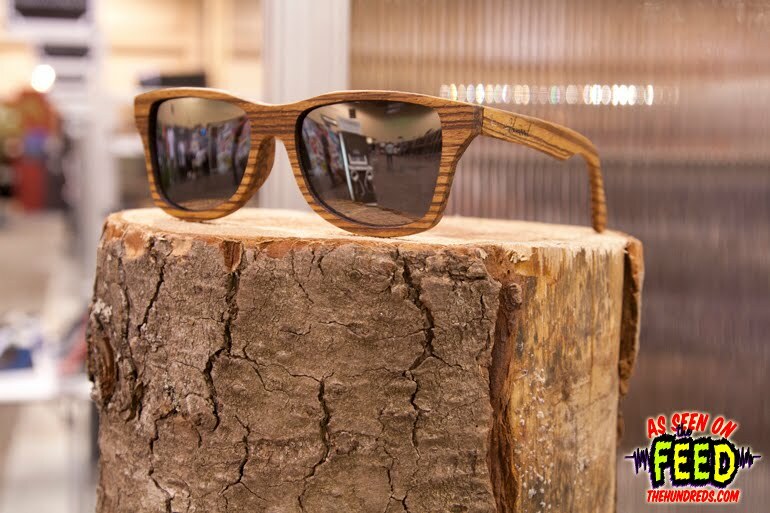 THESE SHWOOD GLASSES ARE HOT! 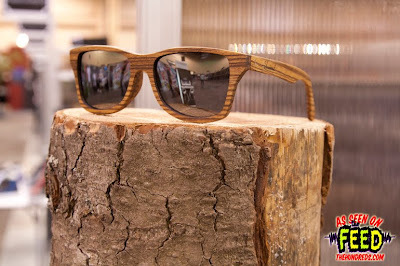 The silhouette is familiar (think Rayban Wayfarer, or Oakley Frogskins) but the material (wood) is pretty unique! Steal a pair for yourself for $95. Via The Feed. A rare video clip titled "Like Son, Like Mother" has surfaced of Kanye West and his late mother Dr. Donda West, sitting and reminiscing about one of his old rap songs....It's a genuine parent/child moment that transcends the music. Check out the complete article/recap over at Yahoo! for more info. Also - check my man JHop's page for more of your musical needs over at The Hopspot. 9five Eyewear Presents "Who Murked Beardo?" 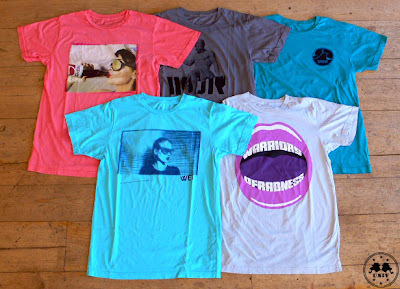 2010 Lookbook from Mike Metcalf on Vimeo. 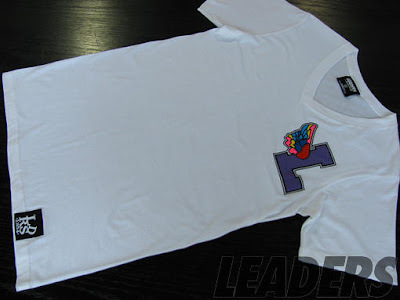 The Leaders crew out of Chi-town just dropped some new goodies, one of which is the colorful Varsity-style v-neck shown above. Purchase off their website here. I visited their store when I was out there - good people. Support the Indies! 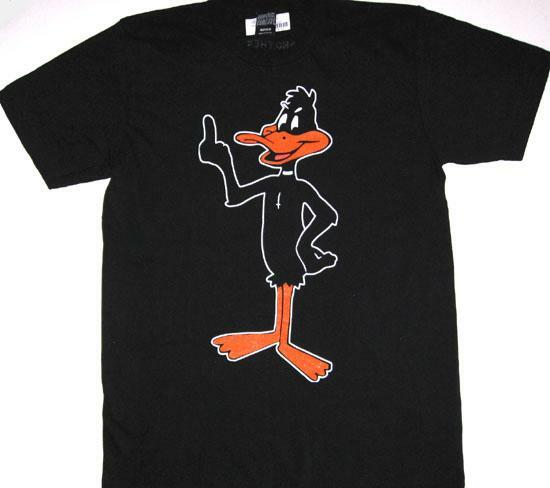 Ok, so I was up in San Francisco yesterday, and stopped by the much balley-hoo'd THSF flagship, and saw this shirt for the first time. Naturally, it was a must-cop. 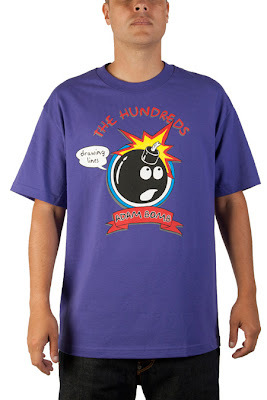 A Simpsons-inspired t? C'mon Son! This took me back to my days as a grade-schooler strolling the swap meets with my grandparents, trying to come up on as many bootleg Simpsons shirts as possible (YOU KNOW YOU REMEMBER!!!). You can purchase your own (purple, black, or white) here. I've been a way for a minute on that music note - been compiling some stuff to keep you all up to date, but after catching this video for Number Won, my favorite track of Wale's newest Seinfeld inspired mixtape (download here), I had to mix it up and post this one now. Cudi what up! Check Hypebeast for more cut/sew pieces from the collection, in addition to some boots! More over at the Beast. 2 thumbs up on these joints. Not overly branded, simple colorway, but still enough going on to be fresh. Nice collab fellas. More pics/info at Hypebeast. 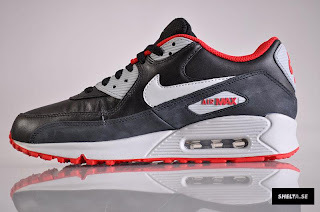 Not always a huge fan of black shoes, but runners seem to do it. Via Nike Kicks. New interview with Rick Klotz (of Warriors of Radness, Freshjive fame) is up over at Grungey Gentleman. Topics include inspiration, recent collabs, and favorite WOR pieces. Check it out! 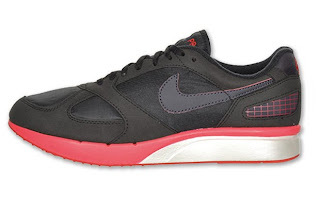 DOPE colorway of one of Nike's most comfortable running shoes EVER. Just put in 5 miles in the Raider colorway earlier today, but these are bar-worthy.